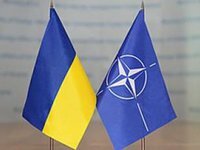 Ukrainian President Petro Poroshenko has said that Ukraine-NATO cooperation is very important for global security due to ongoing Russian aggression. "We must remember that our meeting is being held while there's Russian military aggression taking place against Ukraine. It was realized via the armed annexation of Crimea and the aggression in the east of the country. As a result, due to the aggression, Ukraine-NATO cooperation is of top importance for Ukraine, NATO, and global security," Poroshenko said while opening a meeting of the National Security and Defense Council of Ukraine (NSDC) in Kyiv on Tuesday. According to Poroshenko, today's meeting of NSDC is an historic one as NATO Secretary General Jens Stoltenberg is participating.